Unlike traditional water filters, the Wellness process has two distinctly different systems — a purification system and an enhancement system. They work together to produce clean and refreshing water in much the same way as the Earth does by sifting through multiple layers of natural, purifying materials. This Wellness process produces clean water that is so natural and nourishing for the body that many call it… the Best Source of Water on Earth®. The process is so exceptional that over 100 Japanese hospitals, many operated by the Japanese Ministry of Health, use it and as a natural result, many physicians recommend it for their patients. Now you can enjoy this same top quality of water throughout your home. 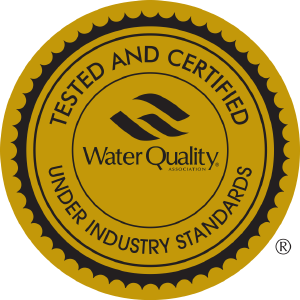 Wellness Filter products employ a variety of specialised media to reduce harmful contaminants. The configuration and selection of these media depend on the specific product but include the nest coconut shell-derived granulated activated carbon as well as proprietary carbon block materials to reduce chlorine, chloramine, fluoride, VOCs, lead, mercury, THMs, cysts, turbidity and many others. The whole house system also employs SPG sand (an engineered volcanic sand so effcient that it is used in Japan to purify blood for dialysis patients). These layers treat a broad spectrum of harmful contaminants and also polish the water for optimum taste. After completing purification, water proceeds through several additional layers of enhanced media which combine to add essential trace minerals to replicate natural spring water. The first three layers are comprised of unique far-infrared ceramics sandwiched in between two layers of magnetite rock and ceramic magnets. The far infrared ceramic in made from TenkoSeki, a rare stone, which imparts negative ions into the water. These ions provide a mild antioxidant effect are are believed to neutralise free radicals on and in the body. Free radicals are believed to be a primary cause of ageing and diseases such as cancer. The opposing layers of magnetite and ceramic magnets align the structure of the water making it more absorbable by the skin and internal cells, while allowing Wellness Filter water to transport more of your dietary supplements to target cells. The water then proceeds through a layer of Bakukan Stone, a rare Japanese mineral that has been recognised for its medical effects on arthritis, circulation, burns, and digestive function. This layer also helps promote a natural alkaline state in the body, which is believed to strengthen the body’s immune system. Finally the water is treated by a lay or Taicho stone, a rare Japanese mineral known for the bacteriostatic and fungistatic properties which are imparted in the water. This process also improves solubility and ionic stability of the water, which allows a more thorough absorption of dissolved nutrients and the reduction of scaling with hard water. Water leaves the Wellness Filter puried, enhanced, and endowed with rare properties only found in a few of the World’s more renowned natural springs.